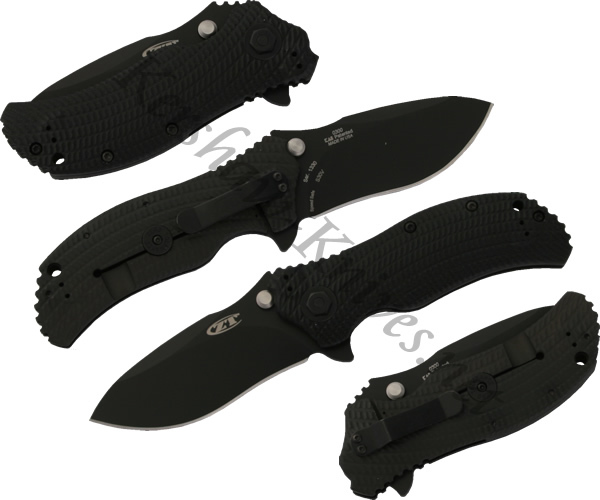 The Kershaw Zero Tolerance combat folder model 0300 has a big S30V stainless steel blade that is assisted opening. The blade has a black tungsten dlc coating to reduce friction drag and enhance corrosion resistance. The handle is made of G-10 and has scales on it for even better grip. The blade uses a hex nut at the pivot to make it easy to adjust in the field using common tools. The Kershaw Zero Tolerance 0300 comes with a pocket clip that can be mounted in four places, tip up or town, left-handed or right-handed. MADE IN THE USA.